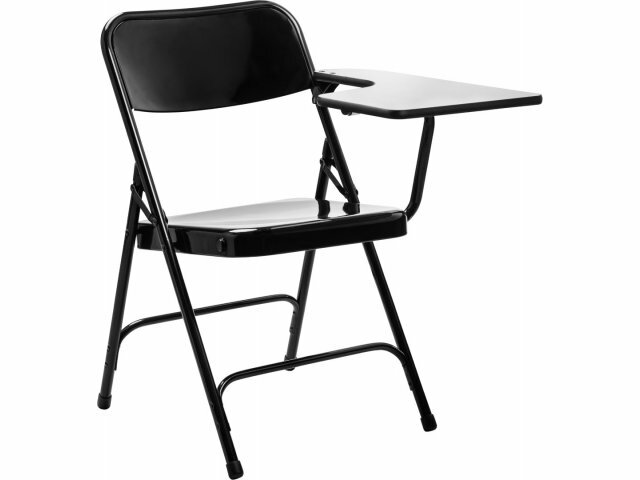 These tough folding tablet arm chairs are made from super-strong, 18-gauge steel and are rated at a 480-pound weight capacity. 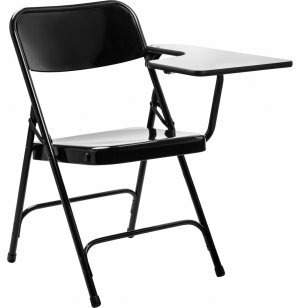 This school folding chair's tablet arm folds automatically when you fold the chair for very easy and compact storage. The folding writing tablet arm is 5⁄8"-thick plywood with high-pressure laminate for a smooth and sturdy writing surface. Measuring 13 1/2"W x 22"D the tablet doubles as a writing surface and an arm rest. 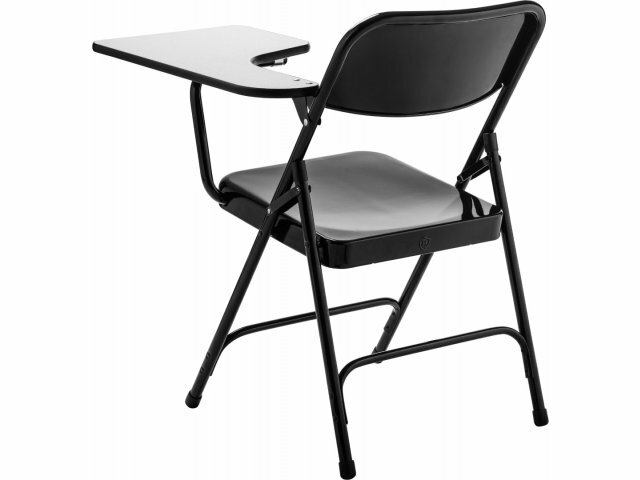 Choose a combination of right and left handed tablets when ordering a selection of chairs (about ten percent of people are left handed so keep that in mind when ordering.) 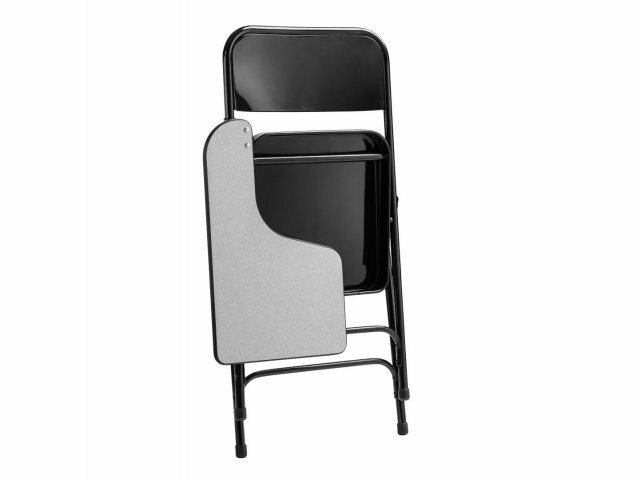 This folding tablet arm chair with a super strong frame will provide years of worry-free use. 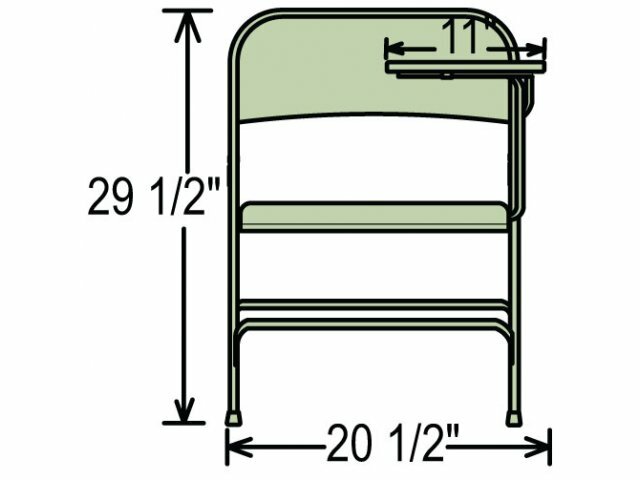 Super Strong: Chairs hold up to 480 pounds of moving weight. Built to Last: Frame constructed from 18-gauge steel. Tough Tablet: Tablet arm is 5⁄8"-thick plywood core with a high-pressure laminate top and T-mold edge. Safe: Full rolled edges prevent snags and scratches. 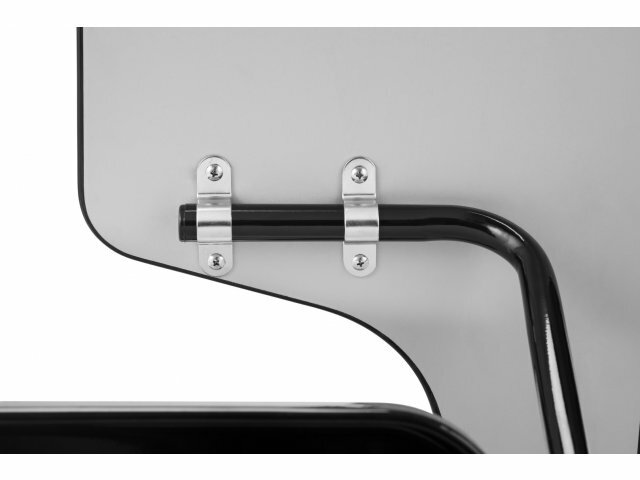 Secure: Double hinged design and U-shaped cross braces enhance stability. Triangular brackets keep tablet securely fastened to desk frame. 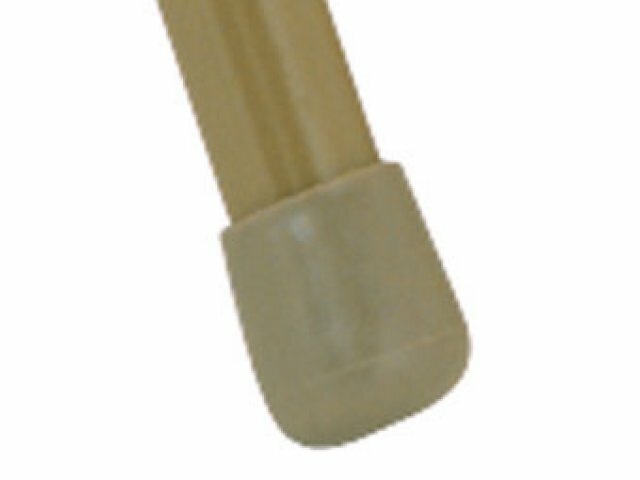 Floor Protection: Replaceable polypropelene glides prevent scratches. Ergonomically Designed: Full size double-contour back provides support and comfort. Multipurpose Tablet: Tablet arm doubles as writing surface and armrest. 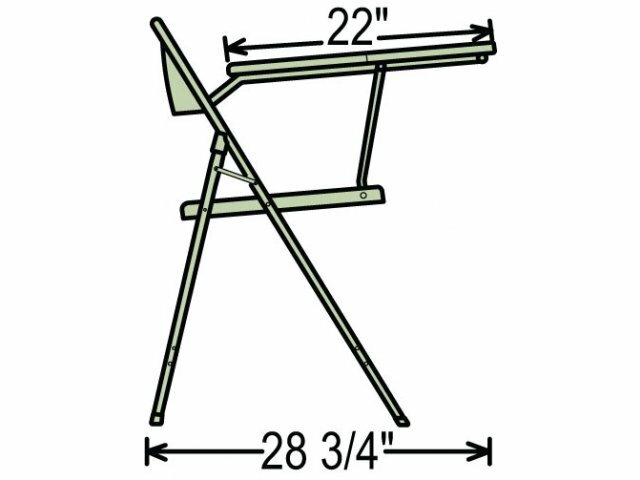 Easy Folding: Tablet and chair are collapsible. 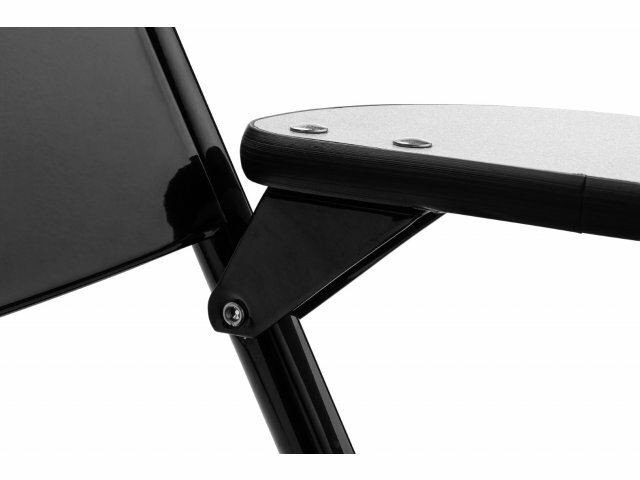 Tablet folds automatically when chair is folded. Versatile: Available in right- and left- handed configuration.